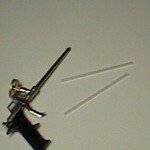 PRODUCT DESCRIPTION: Caulking gun type applicator that's designed to accept the refill Foam canisters of foam. Since these canisters are fully pressurized, minimum amount of effort is needed to operate this tool. Simply attach a can of Foam and start to apply it where needed. 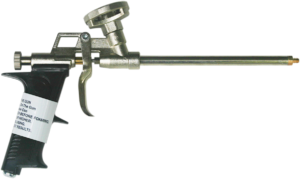 The great thing about this gun is that it features a built in tip shut off that makes for precise control of when material is started and stopped.